← The Boston Massacre, Manitoba Style!! After his departure from the Dictators in late 1978, Richie Teeter was a co-founder of a New Wave-ish NYC quartet called VHF. The band gigged a lot around town from 1979 until 1983 or so, in pursuit of the elusive brass ring, but success seemed to elude them. To my knowledge, they never released a record, although they did do plenty of recording. We here at DFFD combined forces our good pal Lindsay Hutton at the Next Big Thing blog (AKA The Only Other Guy In The World Besides Me Who Never Threw Anything Away) and managed to unearth 3 demo sessions and a live show. We’ve compiled the best songs and takes, and are proud to offer, for the first time, what we’re referring to as The Great “Lost” VHF album. We’ll send a CD copy to anyone who asks for one. After hearing these songs a few times, I have to say that one reason why they may have missed out on a contract was because stylistically they were all over the place. I can hear bits and pieces of Foreigner, the Cars, Mott the Hoople, Hall + Oates. A lot of what other people sounded like, maybe at the expense of sounding like themselves. It’s good stuff, but it sounds like 5 or 6 bands crammed together. Regardless of style, any opportunity to hear Rich Teeter sing a lead vocal is something that shouldn’t be passed on, and he’s front man for roughly half of the 10 songs here. That man had a set of pipes. I am Rich’s 1st cousin and attended a memorial service over the weekend. 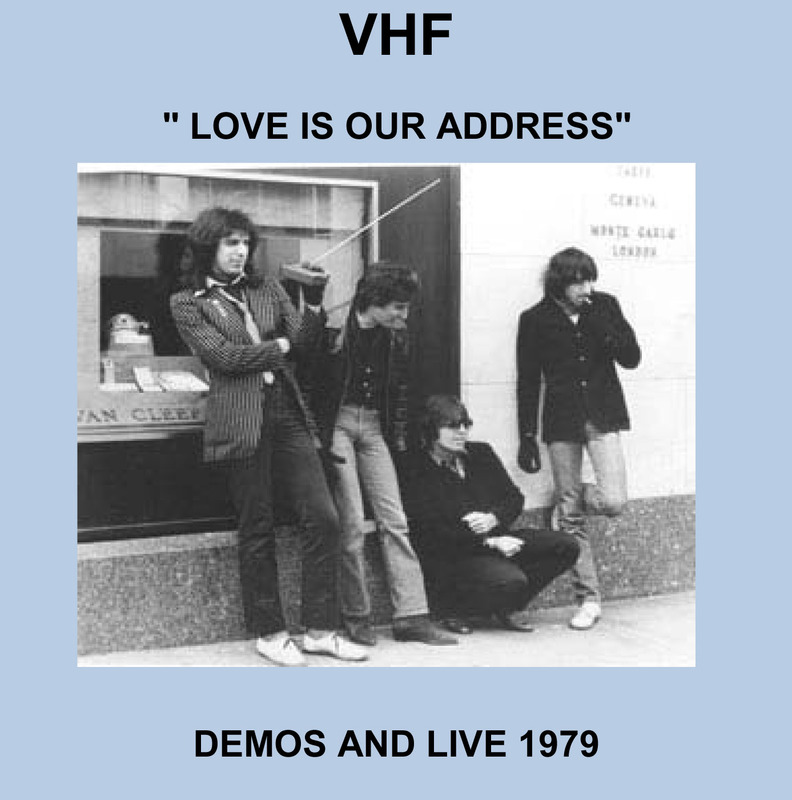 I would love to have a copy of the VHF recordings but would not want to do anything that Rich would not have wanted. Perhaps I can get Jane’s thoughts on this.